Co-authored with Damon McDonald and first published on Ecorazzi on 10 September 2018. Photo credits to Vegandale. 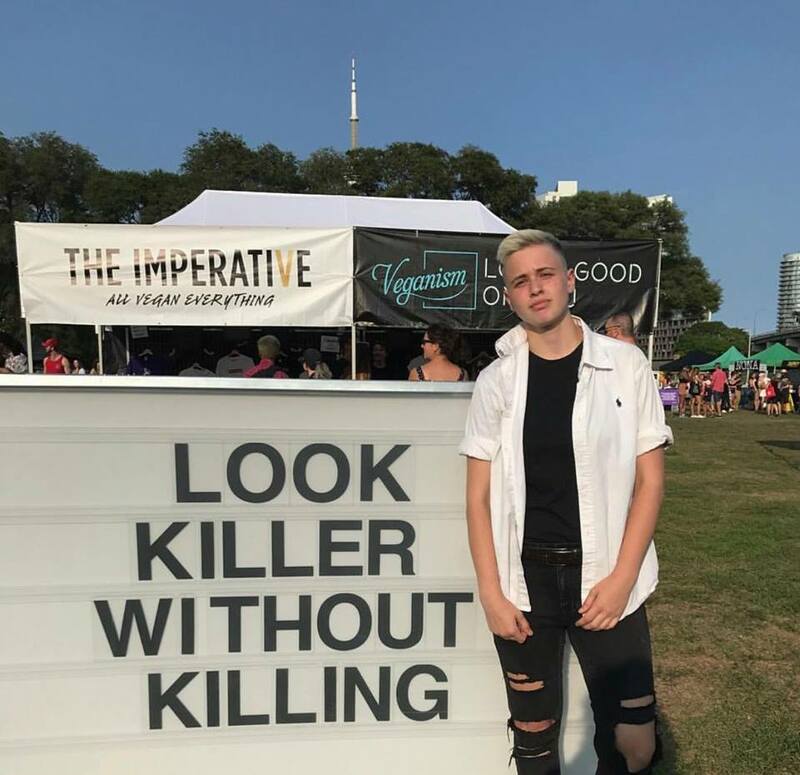 Empowering, positive and unapologetic vegan advocacy while having fun at a vegan food and drink festival are not mutually exclusive activities. From the clever, and often laugh out loud funny, vegan artwork that reinforces the simple idea that to help animals we should and must go vegan, to an independent, volunteer-run vegan info tent, Vegandale Food & Drink Festival proved that possibility once again during two smashing days at Fort York Park in Toronto. The oversized art installations, handmade by Bear Bones Woodworks, are simultaneously visually stunning and entertaining. 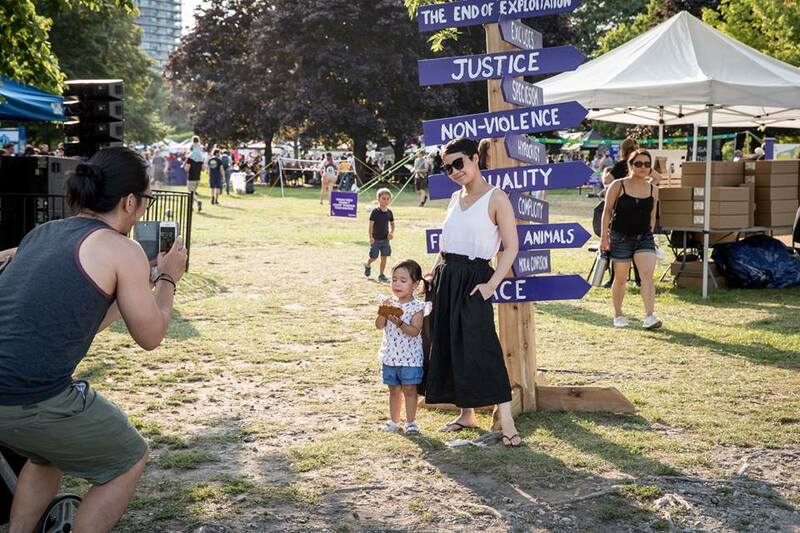 Festival-goers interact with those on their terms and the messages are clear and powerful: veganism is the only way to go. The vegan info tent provides a welcoming space for anyone who is curious about veganism, has questions, needs information for their nonvegan friends and family, just fancies listening in, wants a break from the sun or anything in between. The banner on the tent’s exterior poses a simple question, “Why Should I Go Vegan? Ask Here!” and it is the only invitation necessary. There is no accosting festival-goers, leafleting (which only results in leaflets ending up in the bin), displaying gory or pathos-inducing photos or showing horrid, graphic videos. There are only friendly volunteers who are willing to engage with anyone who wants to talk. So many do! Hundreds of people – vegan and non – visit during each day to peruse or take the excellent, free vegan starter kits published by the International Vegan Association (festival-goers took over 1,000 by the end of the weekend), purchase books by Gary Francione and Anna Charlton (we sold over 50 at cost) or look at original art prints of animals by Marianna C. Gonzalez that will be in The Imperative. 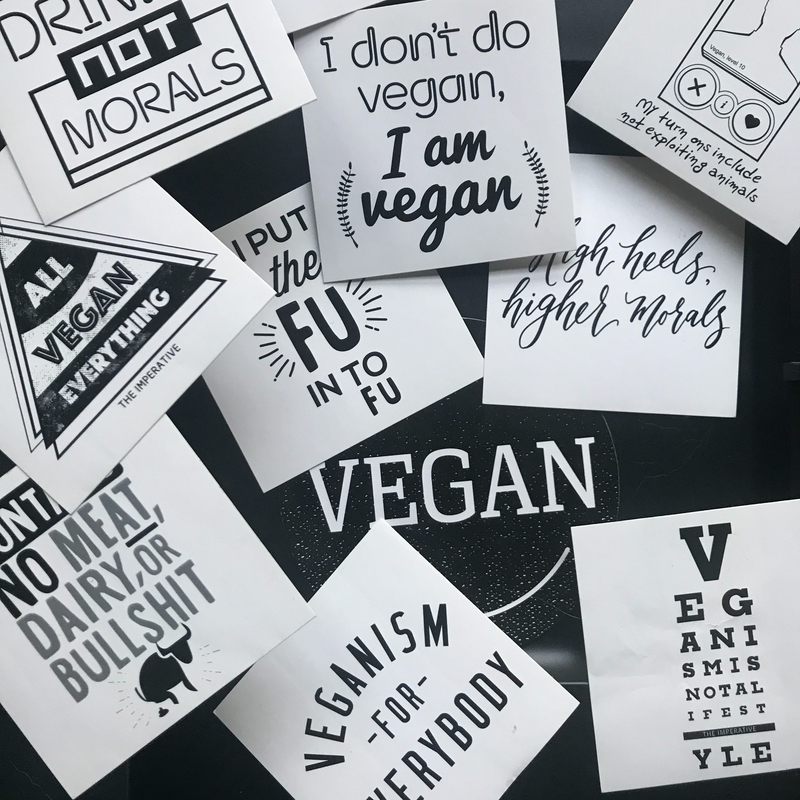 Nevertheless, the materials are ancillary because what people really want is to connect, ask questions and get direct responses from those who are educated about veganism. 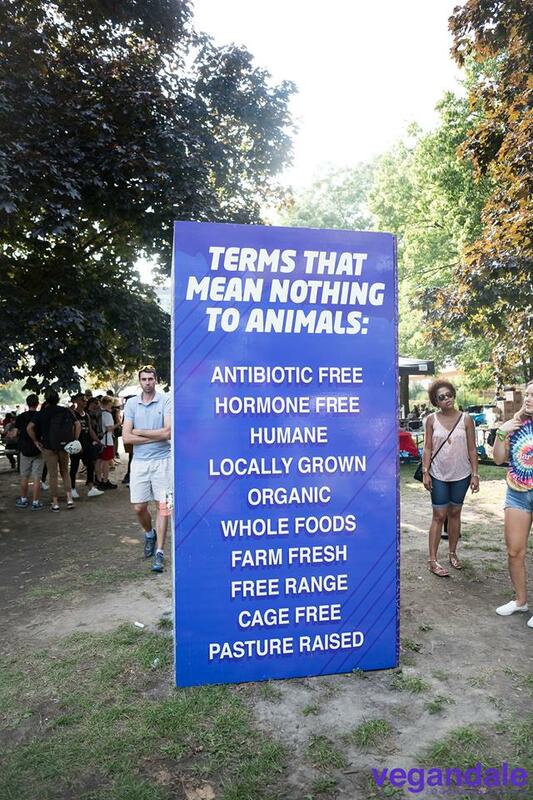 Veganism is an unfamiliar topic for many festival-goers. In order to educate about it, we engage by asking questions and listening carefully to visitors’ concerns. We respond clearly and maintain the complete defence against any form of exploitation of animals. From our experience with this type of advocacy, it is eminently clear that people understand that exploiting animals is wrong. Because they understand this simple concept, we do not need to compromise the vegan message because in doing so we compromise the interests of the animals who are the victims of our exploitation. When we are clear that veganism is the least we should and must do and why, people get it. There is no need to suggest baby steps, journeys, meatless Mondays or any other form of continued exploitation of animals. The answer to “why should I go vegan?”, simply becomes: because it is the right thing to do. Some of the interactions last only a few minutes, while others up to an hour. Even many of those who only seem to be interested in looking at what is on offer on the tables eventually ask questions. When people seek out information about veganism (or, frankly, anything else) and we share it with them sincerely with love, empathy, respect and without ego, they are empowered to make and own their choices, while we plant seeds of awareness that can lead to quite profound change. When we are particularly fortunate, that change happens right there and then before our eyes. Emilia and Damon volunteered to advocate for the animals during this festival and came from the United Kingdom and Australia, respectively. Jeffrey Coolwater, a Toronto resident and a moderator for the Gary Francione Facebook page, also volunteered. 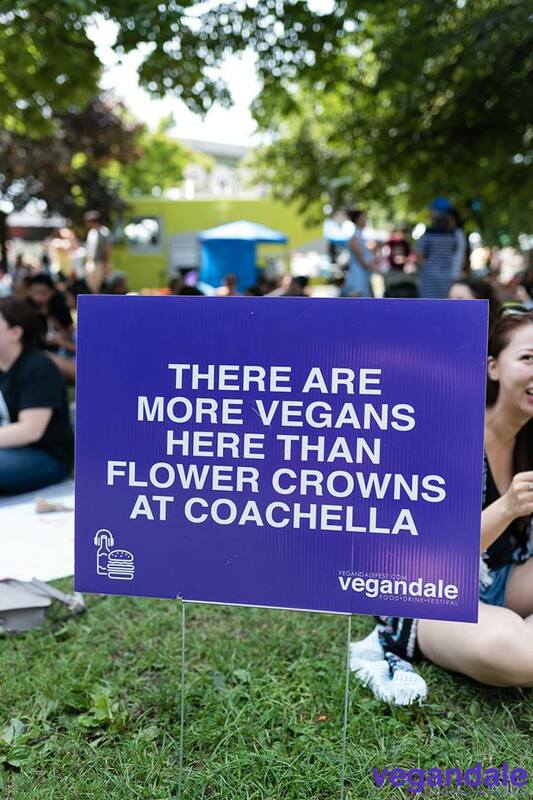 Thank you to the organisers of Vegandale Food & Drink Festival for providing an opportunity for clear and unapologetic vegan advocacy during a very fun and delicious event. Also, a warm thank you to each of those who visited the tent. The next Vegandale Food & Drink Festival will be held on 29 and 30 September 2018 on Randall’s Island in New York City. Go check it out. You can go vegan now and this website can show you how. Next articleEcorazziThe L.A. Fur "Ban" - What Does It Actually Accomplish?